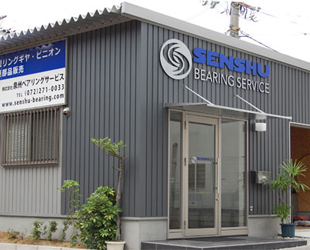 SENSHU BEARING SERVICE can live up to the various requests, high-precision, special form, large-size, small quantity, short delivery, low price, etc. from every customer for the purpose of increasing use of Slewing bearing. 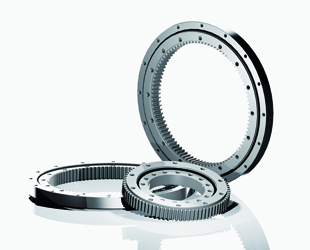 We are sure that you will be quite satisfied with our services and the questions of the bearings. Our staff will happily to help you with your questions. Please contact us for more information. We would like to inform you that we would be having New Year Holidays from Friday the 28th of December 2018 to Sunday the 6th of January 2018. We exhibited MECHANICAL COMPONENTS & MATERIALS TECHNOLOGY EXPO OSAKA. It was held from Wednesday, October 4, 2017 to Friday, June 6, at INTEX Osaka. 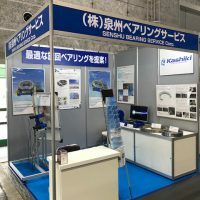 We exhibited at the 20 th Kansai Machinery Element Technology Exhibition. Thank you for stopping by our booth. We will exhibit at MECHANICAL COMPONENTS & MATERIALS TECHNOLOGY EXPO OSAKA from 4th to 6th October. We redesigned our website. I hope you will find the information useful. 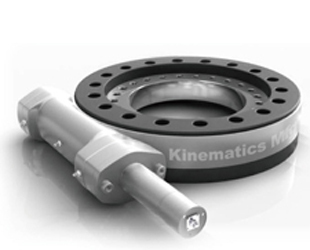 We have stocks of small size or medium size under 1000mm and the equivalents of NSK. We added to line-up. Please consider us in the future for all your needs. As for more information concerning Stock page.